I always loved white dresses , especially summer time with your sun-kissed tan , what else would you ask for ? as always believed that white is a angelic peaceful color . Simply a glamor fresh look with no efforts to be added. 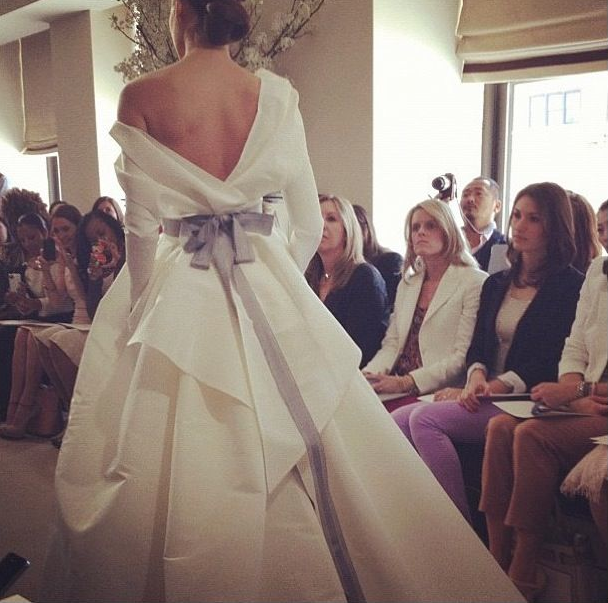 The above chic dress is an over-the-shoulder with long sleeves and full skirt , part of Carolina Herrera Bridal Collection spring 2013 , I choose to see it the most astounding dress out from the whole collection ..